MUSKEGON, Mich. - May 10, 2018 - PRLog -- Generation Care, a West Michigan rehabilitation and wellness organization since 1999, has joined a national rehabilitation organization, Ivy Rehab Network. With Ivy Rehab Network's 100 clinics nationwide, Generation Care joins a growing team of 12 other clinics in Michigan within the network. Generation Care plans to retain their current name and community identity, with no changes in staff or services. Ivy Rehab Network allows its clinics the freedom to remain as they are and provide support behind the scenes. "Joining the Ivy Rehab Network has been such a positive step for us company-wide," shares Founder and President of Generation Care, Holly Lookabaugh-Deur. "Our team is transitioning with minimal disruption and we couldn't be happier about the relationships we're building with the corporate team at Ivy." 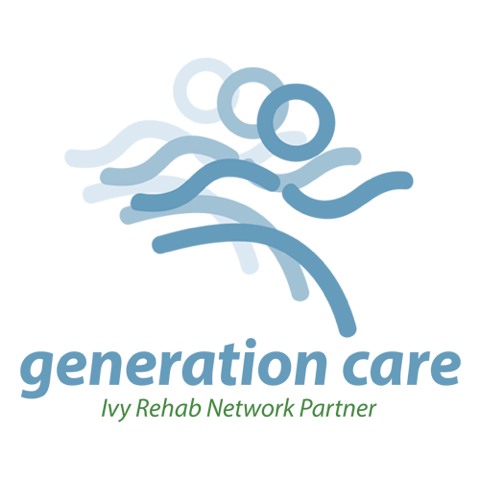 As a gesture of the team's excitement over joining Ivy Rehab Network, Lookabaugh-Deur noted that Generation Care did make a small change to their logo design by adding a new tagline. Holly Lookabaugh-Deur founded the first Generation Care clinic in Muskegon in 1999, expanded to Grand Haven with a second clinic in 2008, and then established a sports-specific rehab clinic in Grand Rapids in 2014.